Keira Knightley's been signed in the lead role of the latest film adaptation of Leo Tolstoy's Anna Karenina. This time around, the film adaptation has been penned by Tom Stoppard and will be directed by Joe Wright. Jude Law has signed on as Anna's husband, Alexsei Karenina. Joe Wright first directed Knightley in the 2005 Pride and Prejudice and then in 2007 with Atonement. Anna Karenina will be their third film together. Look for filming to begin sometime this month. 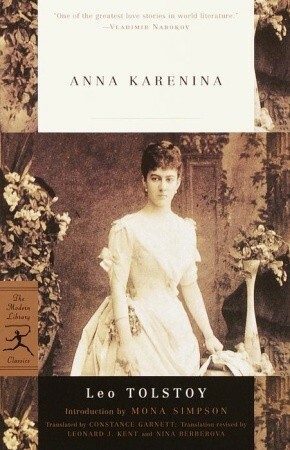 Anna Karenina cover: Random House. If Jude Law is playing Alexi I am watching!!! I always had a soft spot for that character. Should be interesting to see how this epic is converted to the screen for our modern tastes. I'm with you about Jude as Alexi! Great character and a great actor...should be in interesting interpretation!